Fit Fluential Mom: Rx Prescriptions for Less! Virtually everyone has to go to the pharmacy for prescriptions whether it's for themselves or for a family member. 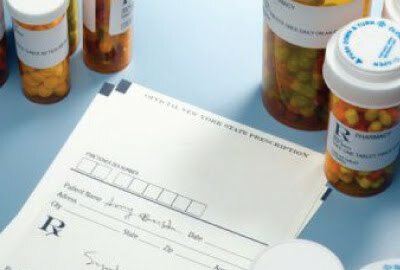 Those of us that take prescriptions regularly, such as thyroid medication, birth control, arthritis medication and others know how expensive some medications can be, especially if they are the name brand and not the generic. Well, before paying full price for your family's prescriptions, try some of the methods below and see if you qualify for a discount. Many people are under the assumption that, in order to purchase medications from the pharmacy at Costco, you must be a member. That is not the case at all. You can go to the pharmacy at Costco and purchase prescriptions without being a Costco member. I looked up my prescriptions and realized that I'd save over $20 a month by getting my prescriptions at Costco. It would also be much more convenient since they have an auto fill program and they mail them to you! You will never have to wait in a long line at the pharmacy again. Costco also offers a discount program in addition to their already low prices for those without insurance. In order to qualify for their discount program, however, you will need to join and become a Costco member. It's well worth it so at least give it a try. Sometimes you can find discounts or request free samples of prescription medication from the actual manufacturer's website. For example, the popular company Pfizer offers up to a year of free medication for some newly unemployed people. They offer several assistance programs for many different needs. Visit the Pfizer Assistance Program website for more information. There are numerous patient advocacy groups that sponsor reduced price prescription programs. Visit Partnership for Prescription Assistance Program for more information. They offer help with over 2,500 medications and over 475 patient assistance programs. The program has already helped over 6.5 million people in 5 years so why not let them help you! Try signing up for one of the many drug savings cards. Log onto the website Free Drug Card and see if you're eligible. They offer savings of up to 75% on all FDA approved drugs at over 56,000 pharmacies nationwide! You can also try Rx Free Card. This is a free discount prescription drug card entitling you, your family and even your pets for substantial savings of up to 80%. The card offers you 80% off generic, 15% off name brands and up to 80% off of pet medications as well. This is not a club card and does not require a membership. It works like a coupon for prescriptions. It's simple and free to receive the card with no application needed. If you don't have insurance and/or aren't covered for a particular medication, these programs offer you substantial discounts at many pharmacies in and around your area.